It goes without saying that India is a massive country. In 3 months, I got to explore only one strip of it, traveling West to East, sticking largely to the North. I hope to return some day and travel the country more extensively but, for now, here are the highlights from the areas I was fortunate enough to have visited. It has to be said, Agra is a bit of a shithole. People don’t come for the town, they come for its sweetheart landmark, the Taj Mahal. Eminently photogenic, this Mughal tomb is fairly stunning, and a pretty quintessential stop for any Indian travels. India’s most famous landmark, the Taj Mahal. Accommodation – Pete and I stayed at the Taj Plaza Hotel. Very decent price for its location, with a clear balcony view of the Taj. Bookings are possible over Hostelworld.com (You’ll find many of my bookings were made through hostelworld.com simply because I’ve had good luck with it in the past. If you also find yourself using it a lot, consider paying the $10 membership fee – It’ll save you the $2 booking fee on reservations. Basically, if you think you’re going to use this site at least 5 times, it pays for itself). Darjeeling’s a stunner. Scenic, tranquil and colorful, this hill station is also a great launch point for any bike or hiking tours of Sikkim, the Eastern Tribal States or Nepal. Tour tea fields, view a variety of big cats at the very awesome Himalaya zoo or hire a jeep to Tiger Hill to watch the sun rise over Khanchenzonga, the world’s third highest peak. For more elaboration on the beauty of Darjeeling and the abundance of activities possible there, check out this post on my arrival or this one on the perfect day I had there. If you happen to run into Helly at her Cake Lady shop, say hi for me. In the tea hills of Darjeeling. Accommodation – We stayed at Hotel Abhi Satya and were entirely content there. Beautiful balcony view of the valley below. Again, I neglected to write down the exact rate we paid (bad travel writer. tch), but I remember it being one of the cheaper places we stayed during our travels. Eats – Just down the road from our hotel was the popular Sonam’s Kitchen, home of the best pancakes I’ve ever put in my mouth. (Banana chocolate pancakes cost 90 Rs). For dinner, try the very satisfying Hungarian mashed potatoes. Delhi gets a bad rap. Between the insane traffic and overly polluted air, most travellers can’t get out of the city fast enough. But something about the ever-changing chaos of Delhi endeared it to me; every neighbourhood had its own distinctive personality and I found that taking the time to move through a variety of them was a good primer to the land of contrasts that India can often be. Getting around – Delhi’s metro system is incredibly new, and very easy to navigate. You can pick up a card at most major stops (that will function like a London Oyster or Melbourne Myki card for anyone familiar with them) on which you can throw credit. You won’t need much – travel on the system is incredibly cheap. And no Delhi visit is complete without a panic-attack-inducing auto-rickshaw ride. If you’re unsure what a ride should cost, check with your hostel before you leave or even someone on the street – don’t expect to pay what the locals do, but neither allow yourself to be taken advantage of. Always arrange fares before you sit in one unless they’ve agreed to use the meter, which they rarely will. They were one of the cheaper options I saw, and had everything I needed – free breakfast and supper (admittedly simple, but still filling enough. And the breakfast came with the bonus of free chai), decent free wifi connection and a good location on a central metro line. Hot water was sketchy, but then it is pretty much everywhere in India. The area around the closet metro stop had very good Chaat, for anyone willing to brave Delhi street eats. And nearby in Saket was a PVR theatre, for anyone looking to take in a Bollywood film during their time in Delhi. Jama Masjid – The largest mosque in India. 200 Rs entry, 100 Rs additional to go up the minaret (which I HIGHLY recommend for the 360 views of Delhi it offers. As well, I’d been told the Red Fort was somewhat rubbish, and the most impressive part of it was its outside, which you can see quite well from the minaret) Metro: Chandni Chowk. Delhi, as viewed from Jama Masjid’s minaret. Chandi Chowk – Main street of old Delhi, one of the oldest and busiest markets in India, now a massive tourist hub. If you want trinkets for friends and family, you’ll find an abundance of them here. Haggling hard is par for the course. Metro: Chandni Chowk. Qutub Minar – Tallest brick minaret in the world, example of early Indo-Islamic architecture. Very cool site, and nearby if you end up staying at Holy Cow. Metro: Qutub Minar. Humayun’s Tomb – Early inspiration for the Taj Mahal. Pretty, and very photogenic. Metro: get off at JNL Stadion then take a rickshaw the remaining distance. Lodi Gardens – A nice park with some cool older buildings to wander. Free entry. I. . .neglected to record which metro was near, but it should be easy to find on any Delhi map. PVR cinema – Plays international and Indian films. Be warned – no subtitles. Also be warned that NO bags or cameras are allowed inside. It’s possible to ‘check’ your bag with one of the coffee booths outside but, if you’re the untrusting sort, you’re better off leaving your things back at your hostel. There are several PVR’s around town, but I kept going to the Saket location that was near to Holy Cow. 150 – 200 Rs. Hazrat Nizam-ud-din-Dargah – Go by on Thursday nights to listen to the Quwalli musicians play. A little tricky to find, so allow yourself time to navigate the alleys it’s hiding in. This was my first (and very surreal) experience in India, the post of which is here. Nearest metro: JNL, then take a rickshaw rest of way. Hope Project – A charity in the impoverished Nizzamuddin area that offers guided tours of the neighbourhood, along with a couple of its many stories. Again, difficult to find, but well worth it. Highly recommend. Perhaps head down on Thursday to make a day of this, followed by the Quwalli musicians afterward. Bonus: Doing this will mean you only have to hunt aimlessly once, as the tour will show you the location of the Dargah shrine. 127 Hazrat Nizamuddin. Cost 200 Rs. Children of the Hope Project. Photos of most of these sites can be viewed by browsing the Delhi sets in my Flickr feed here. Shopping – If you are flying into India as a part of a RTW trip, it’s entirely possible you may be needing some new clothes for the climate. Skip the poorly made and over-priced fares on offer in the main markets, and instead hit some of the places the locals shop. A lovely chap from Mumbai was kind enough to pass these suggestions on to me. I hit only Lajpat and Kailash and found more than enough of what I needed. As a side note, a British backpacker and I spent a lovely evening drinking and dancing with locals at Bromfy’s bar in Kailash. Another major tourist stop with an abundance of sites on offer, though more challenging to navigate than Delhi. Accommodation – By the time Pete and I hit Jaipur, we both had a number of computer tasks to catch up on, and Explorer’s Nest was a perfect place to do it. It’s a great, clean quiet place with water that could actually be called hot. With only 4 rooms it’s pretty low key, so you’re not likely to bump heads with a lot of other travellers. And there’s an 11pm curfew so it’s not exactly made for partying. But if you’re looking for somewhere to catch up on things, or recharge, it’s ideal. The wifi for purchase at the hostel is fairly slow but Pete and I were working off our 3G devices, and the connection here was solid, a rarity for India. You can book a room over HostelWorld.com or call to check if they have openings. Sites – As mentioned, there’s a hell of a lot on offer tourist-wise in Jaipur. The City Palace, Jantar Mantar, Hawa Mahal. . .Compound tickets are available and can save you some cash if you plan to hit multiple sites. One of my favourites was Amer Fort. Pete and I couldn’t stop remarking how awesome a location it would be for an epic game of paintball. Alas, this activity is not currently on offer. The guards aren’t exactly thrilled when you use it as a gym, either. The Monkey Temple is pretty badass as well, as long as you’re not terrified of monkeys. It’s rather aptly named. The creatures are pretty tame, though, and you can purchase peanuts to feed them by hand (still, at your own risk). About the only thing to see in this dusty town are the temples, but they’re worth the trip. I blogged about them here. Pete and I only stopped into this town as we needed a layover point on our way from Agra to Khajuraho but I really enjoyed it. An awesome chill little town with an extremely badass fort. There’s also a very swank hotel just outside of town which was way out of our price range, but had a pool you could use for a minimal fee. Bonus: It was possible to order cold beer to enjoy pool-side. Approach nature reserve with caution, as it has a distinct lack of nature. In the same post as I linked to above for Khajuraho, I wrote about Orchha. One of my earliest stops and still one of my favourite places we hit. Rishikesh is chill as hell, with just enough going on to keep you entertained. Particularly popular among yoga practitioners and hippies in general. Clear mountain air and the cleanest stretch of the Ganges. Also, if you care to purchase a motorbike in India, Ranjeet is the man to see. His shop’s contact details are in this post. Rishikesh is also a good jump off point if you’ve any plans to head further north, particularly to Gangotri, or even Ladakh. The surrounding mountain roads are mind-blowingly beautiful, if challenging to navigate at times. If riding by bike, take care of potential landslides. In the mountains near Rishikesh. Also nearby is the Corbett Tiger Reserve which, from what I understood, has the best reputation of any of the Indian Tiger Reserves. It is, after all, named after the dude who started Project Tiger. Heading there was on my to do list, but unfortunately it was one of the activities I had to drop when I was forced to leave the country early. Accommodation – I cannot say enough good things about the Hill Top Swiss Cottage in High Bank, and the two brothers working the internet cafe and tour agency just below it. Raj and Sunni were amazingly helpful, from arranging discount rafting tours for a group of us to helping Pete and I find the garage at which we wanted to buy our bikes to driving me to the hospital when I became sick with food poisoning. They were genuinely sweet, never expecting anything in exchange for offers of help or advice. One night, when Pete and I got back from a bike tour late in the evening and there were no openings in all of High Bank, Raj arranged for us to sleep in a room still under construction so we wouldn’t have to go without. Class act guys. While we were there we spent a number of evenings sitting around a campfire with them and other travellers near Hill Top’s restaurant, chatting the night away. If you see them, say hi for me. Raj and Sunny, in the center. Hill Top lies in High Bank, which is actually just outside of and above Rishikesh. It’s an easy walk or a cheap rickshaw ride down to the main town. One word of warning – Hill Top is not the only Swiss Cottage on offer in High Bank. You also have the Bhandari Swiss Cottage, the New Bhandari Swiss cottage. . .This confused both I and an Australian traveler greatly, as we arrived there on friends recommendations. Keep walking til you get to the top. That’s the place you’re looking for, or at least the place I stayed and am suggesting. There are a variety of rooms in Hill Top at a variety of prices. When I first arrived, I shared a massive double room with a killer balcony with said Aussie at a mere 400 Rs a night. It was one of the best rooms I had during my time in India. Many of the rooms boast an awesome view of Rishikesh below, and there are a ton of balconies around to chill out on or on which to practice your yoga. High Bank was pretty full even during the off season when we were there, so I’d recommend calling to book in advance. Activities – The Ganges as it runs through Rishikesh is clear, crisp and hella fun to raft down. Typical costs will run you about 800 Rs, but Raj and Sunni set up a tour for our crowd at 400 Rs a head. Once again, you’ll find those boys in the internet cafe just below the Hill Top Cottages. They can also set up bungee or flying fox if you’re into it. I also highly recommend making a day trip of visiting the hilltop shrine. My notes here are failing me once again but I believe it was a shrine to one of Shiva’s wives(?). The shrine is nice, but the drive there is STUNNING. We made it on our bikes, but Raj and Sunni can arrange rentals of scooters for you, or a jeep for a group. Ah, Varanasi. What can be said of you? People bathe, clean and expire on your ghats. I don’t understand how anyone can get a sari clean in a river with cow carcasses floating down it but, dammit, they somehow do, the bright colors of cloth flapping in the breeze along your stone ghat steps. At the slightest hint of wind, your sky is filled with kites , competing to cut one another down. The chime of bells and echo of chanting fills your air. Your twisting alleys are impossible to navigate and even more impossible to drive through, particularly when buffalo are trying to make their way through them. My three part series on wandering Varanasi’s ghats are here, here and here. View from the roof of our hostel. Food – I didn’t get to experience half as much food as I’d liked to have in India. But one thing I did get to enjoy was an epic burrito (I know, how Indian is that?) at the Aum Cafe in Varanasi. Possibly the cleanest food in all of India. If your stomach’s giving you trouble, try their Kitcheri. It’ll set you right. Located up the steps from Assi Ghat. You cannot go to Varanasi and not go to the Blue Lassi. Best lassis (a drink made by blending yogurt with water) in all of India. For the adventurous, ‘special’ (wink wink) lassis are also available. Perhaps don’t ask for them too loudly, though. I hear it can be a great experience to have a medium ‘special’ (wink wink) lassi (chocolate blackberry is a good mix), then hire a boat to go and watch the Ganga Aarti ceremony from the water. I hear. Activities – Do not miss the Ganga Aarti. And, as it happens every night (around sunset at Dasaswamedh Ghat), you shouldn’t need to. 300 Rs is more than enough to hire a private boat for the entirety of the ceremony. Ladakh – This northern state of India is meant to be mind-blowingly beautiful, particularly for anyone interested in photography; its lighting is rumoured to be unmatched. 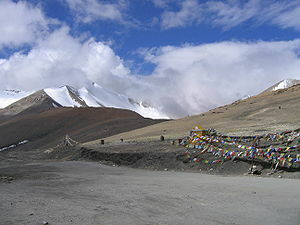 It’s a particularly illustrious area for motorcyclists – The Manali-Leh road is a dream for any Indian biker while, for the experienced, Khardung La is (arguably) the highest motorable pass in the world. Sikkim, Assam and Arunachal Pradesh – More places I’d hoped to bike. I longed to make a tribal tour in Arunachal, as well as cut into Nepal for a spell after Sikkim. Other bikers I talked to in Darjeeling gushed about the beauty of Sikkim and Nepal’s roads. Gangotri/Gaumukh Trek – I had plans to hike to the source of the Ganges with an Indian I’d met in Jaipur. Pete and I were actually very close to this area when we went on the test run with our bikes, but the actual trek to the Gangotri glacier was still iced over when we were there, and thus not open to tourists. Andaman Islands – meant to be an awesome location for scuba diving, as well as just a great place to chill out on a beach. As mentioned, these are simply highlights from my trip – the places I stayed and things I ate and did I found most worthy of sharing. Hopefully they’ll be of help to anyone setting up their own Indian itinerary. *Have I missed touching on something you’re curious about? Feel free to hit me up with questions in the comments block below, and I’ll add to this article where I can as questions come in. *This information is from travels that took place February to April of 2012. *Photos from these travels can be viewed over Flickr here or on the Facebooks where you’ll find me as Krys C Wanders. This entry was posted in Advice, India, Reviews, travel, vagabonding and tagged accomodation costs, advice, Agra, budget, costs, darjeeling, Delhi, India, Jaipur, Khajuraho, Orchha, reviews, Rishikesh, Rupees, spending, travel, travel advice, travel writing, vagabonding, Varanasi by Krys C. Bookmark the permalink. I was going through your post – “Highlights from a Vagabond’s Motorcycle Wanders of India”, just thought of a proposition. I am associated with top and leading brands in India and abroad. I feel if we enter into online partnerships, we can add value on both ends and the deals would be mutually beneficial to both of us. Awww. . . my very first personal spam pitch. I must be hitting the big time. It’s hard to find knowledgeable people about this topic, but you sound like you know what you’re talking about! Hola! I’ve been following your web site for a long time now and finally got the courage to go ahead and give you a shout out from Austin Texas! Just wanted to say keep up the great work!